Give Representative Paul Ryan some credit. During his vice-presidential campaign, Ryan was notable as the one candidate willing to talk—and talk frequently—about issues of poverty, while the other presidential and vice-presidential candidates hewed to a rigid commitment to talking only about the middle class. As we wrote about Ryan’s poverty ideas during the campaign, we sort of guessed at who might have advised Ryan to address issues of poverty, notably Bob Woodson of the Center for Neighborhood Enterprise. In Ryan’s political party, discussing the poor in terms that don’t simply blame the victim and raising potential solutions that require national commitment are high-risk maneuvers. Other provisions of the Ryan proposal concern making higher education support through Pell grants and other programs more flexible and adopting reforms in prison sentencing, but the key parts for many nonprofits are the major proposed changes on funding streams concerning the conversion of longstanding programs into block grants—without really any increase at all in the amount of funding that the federal government would provide. It is certainly good to hear a politician talking about rather than ducking the issue of poverty, as well as to note that a politician understands that there are nonprofits out there taking on these issues day in and day out. But the Republican from Wisconsin misses a major aspect of what it takes for nonprofits to do their jobs. Even Catholic Charities, which Ryan touts as his model poverty-fighting nonprofit, depends significantly on government funding to do their work (Catholic Charities USA gets about half of its funding from government)—and government money for social issues has been shrinking in comparison to the expanding needs of America’s poor and America’s long-term unemployed, neither of which have fared well in the nation’s economic recovery. Nonprofits are promised no new moneys in the Ryan anti-poverty proposals, and given recent federal budget trajectories, the likely scenario is for even less. That isn’t the whole story, however, about the inherent problem in the Ryan proposal. State and local governments, the intended recipients of the Ryan block grants, often fail to compensate nonprofits for the full value of the services they deliver. In addition, many state policies call for nonprofits to share the costs of contracted services by devoting part of their charitable fundraising to pay for the government shortfalls. 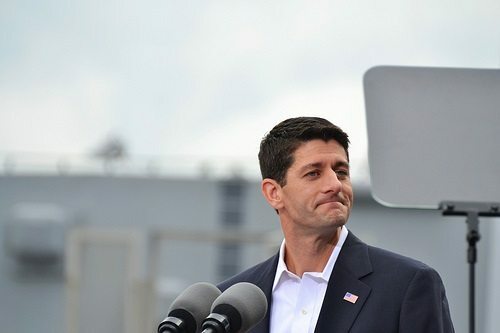 The case management capacities of nonprofits such as Catholic Charities that Ryan touts as key to the more effective use of these block grant dollars cannot undo the effects of resources that are simply too little to meet the need. But the biggest problem is what would go into and come out of the state block grants. As states have cut back on their own staffing and programming, it isn’t difficult to imagine that they would clip some parts of these block grants for their own purposes or, as Bob Greenstein, the president of the Center for Budget and Program Priorities, suggests, to supplant their own social spending commitments. An additional concern of ours is that the Ryan block grant combines programs that provide direct, means-tested assistance to poor people—housing vouchers, for example—with other nonprofit programs, under the rubric that nonprofits will be able to use the resources in an intensive case management approach. Block grant experience in the past is that the resource pool shrinks; at the least, it certainly doesn’t keep up with the growth of need. Not only do states and other levels of government shave the totals to fund their own operations, portions of the block grant funding at the federal get earmarked for various functions, reducing the total block grant resources more than the public knows.